The former British prime minister said on Thursday that the Brexit vote should be given back to the people, putting the question back on the table. However, the signs of unity remain elusive as there are still fundamental splits in her party over what will happen to the border between Northern Ireland and the Republic of Ireland - which now has no checks but would require a system in place for goods check after Britain formally leaves the European Union on March 29 next year. The EU chief negotiator accepted new administrative procedures for goods travelling between Northern Ireland and mainland Britain would be "politically sensitive" but he noted: "Brexit was not our choice; it is the choice of the United Kingdom". The dozen delegates from Northern Ireland business also said the deal would allow Northern Ireland to continue to avail of trade deals including the recent one struck with Japan, something Britain may not be able to seal until long after 2020. She said: "The uncertainty surrounding Brexit for everyone is substantial, but here in Northern Ireland it is acute". MORE: We've come so far - now for the big push He said: "Nearly two and a half years on from the referendum, we are, both on the European Union deal, and on other post Brexit trade deals, still lost in campaign mode on fantasy island". DUP leader Arlene Foster has insisted "these are significant days for Northern Ireland" as Brexit negotiations intensify. Britain's Brexit minister, Dominic Raab, could also come to Brussels then if weekend talks cover enough ground. Meanwhile, we have a report on how men have dominated the debate on Brexit in Parliament, with nearly 90% of Westminster contributions on the European Union coming from male MPs. Speaking after her Brussels meeting, Mrs Foster refused to play down the growing rift between her party and the Conservative Government. "She will not have DUP support regardless of whether the government tries to bribe, bully or browbeat us into accepting it", Wilson also said. High stakes at high noon for these Brexit negotiations. She needs to keep either her own party onside or attract votes from the main opposition Labour Party. The OBR, an independent non-departmental public body, said it was "next to impossible" to predict the consequences of a no-deal Brexit. 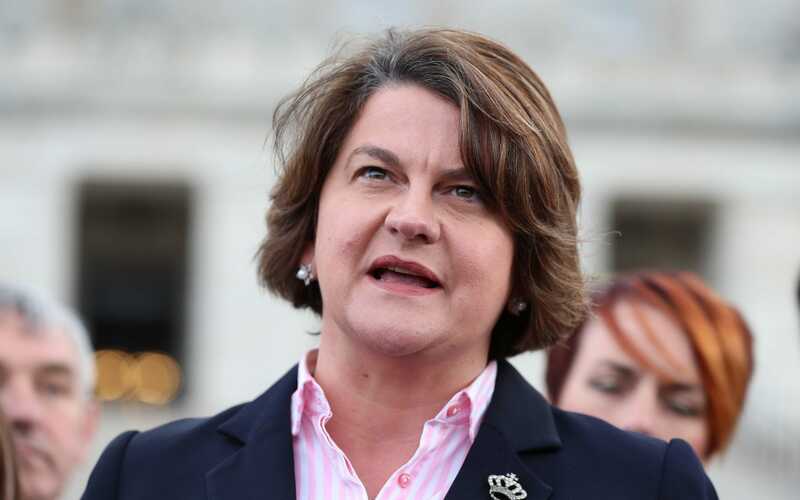 Arlene Foster, the DUP leader, noting how the PM was also a Unionist, said: "What is important for us is to say to her very clearly that any impediment on the two-way access in the United Kingdom single market would not be good for the Union or the economy of Northern Ireland".